Firstly, I would like to say that I really enjoyed reading your book. 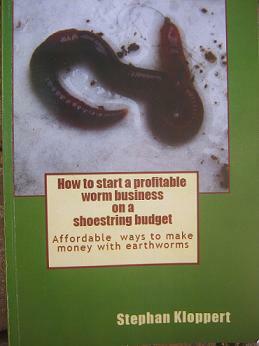 I recommend it to anyone who is interested in getting into the worm farming business. 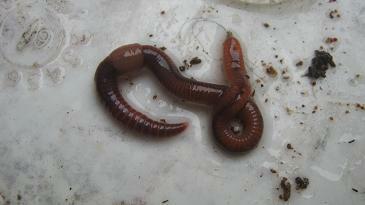 I have a question in regards to the earthworm species that you are using - in your case Eisenia fetida. 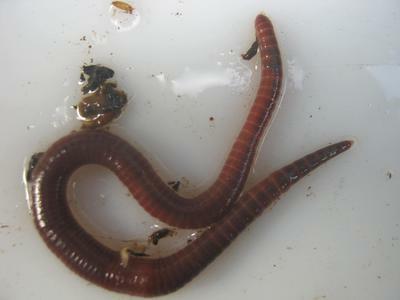 Here in the UK Eisenia fetida is often confused with Dendrobaena veneta and unfortunately both are marketed as 'Tiger worms' and are sold as as mixture of the two. So my question is how do you make sure the earthworms you are using in your business are indeed Eisenia fetida (any specific characteristics to distinguish them from other species)? In addition, where did you originally acquire the Eisenia fetida from? I appreciate your time. thank you for your compliments about my book :-) It is always nice to get some positive feedback. I really appreciate it! You have raised an interesting question. Eisenia fetida and Eisenia Hortensis / Dendrobaena veneta are very similar looking and are definitely amongst the most popular composting worms around the world. The problem that many people including some worm suppliers have is in fact to keep them apart. They are actually cousins and both have a reddish color and often have some stripes on their bodies which is the reason why they are called tiger worms by many commercial worm farmers. I worked mostly with Eisenia fetida worms but have Dendro's (European Nightcrawlers) as well. There is generally nothing wrong growing both kinds of worms in the same worm farm apart from the problem that you will struggle to offer any of them on their own to potential future clients. In my humble opinion there are 3 possible ways one can use to identify them and know which is which. 1. 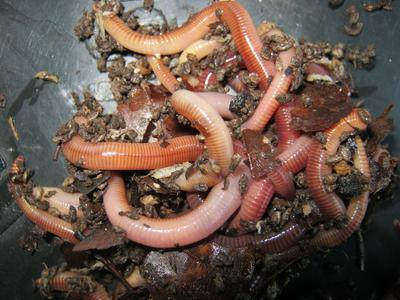 Mature Dendrobaena veneta worms are if kept under the same conditions as Eisenia fetida clearly much bigger and bulkier worms and you should be able to spot and remove them from a worm farm that they share with the smaller compost worms. 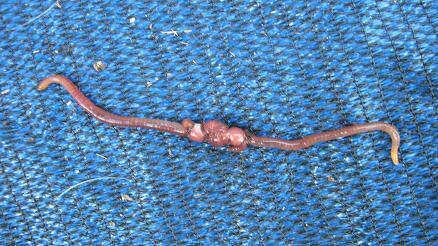 Eisenia fetida worms usually grow to an average size of about 10 cm / 4 inches. Mature worms are easily identified by the clitellum the thick ring a short way down their body behind their head which forms when the worms are old enough to mate and reproduce. 2. Dendrobaena veneta are as well-known as European Night crawlers and they have the name for a good reason. Unlike their smaller cousins, they frequently migrate out of their worm bins in large numbers during the night. They squeeze themselves through tiny cracks and spaces next to the lid or wherever they find a way. This happens especially when they are introduced to new worm bins and a new environment. 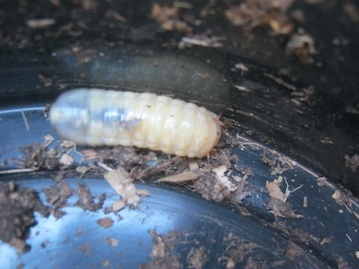 While Eisenia fetida worms do sometimes move out of their worm bins in rainy weather conditions or when they feel uncomfortable with the bedding in the bin this really only happens on rare occasions. 3. As described in my book I mostly worked with Eisenia fetida worms but when I spent time in Germany I got as well Dendro’s and in my opinion they were not as darkly red as Eisenia fetida worms. This might have been the special gene pool that this supplier reared for years so I cannot confirm that this is always the case. But if you look at the 2 worm pictures that I attached to your post you will see that the Night crawlers look slightly lighter than the single Eisenia fetida worm. 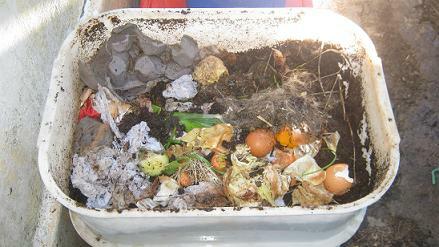 If you work with these 3 ideas carefully you should be able to sort your worms if you have both varieties in your worm bin. 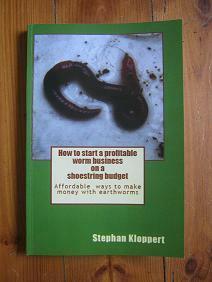 I am at the moment in Cape Town South Africa and will unfortunately not be able to supply you with worms but if you go to my Worm business directory you should find some credible suppliers in Germany and France that might be able to supply you with the small compost worms. I trust this information will be helpful for you.